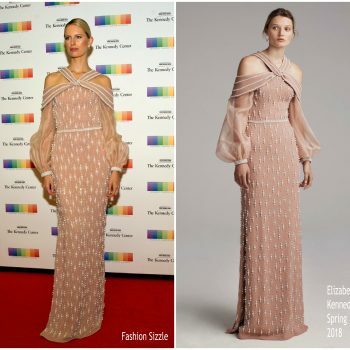 Karolina Kurkova in Miu Miu at the amfAR Gala Cannes 2018 at Hotel du Cap-Eden-Roc on May 17, 2018 in Cap d’Antibes, France. Karolina Kurkova attended the 2017 Kennedy Center Honors on Saturday (December 2) in Washington, D.C. She wore an Elizabeth Kennedy Spring 2018 pearl-embellished gown. 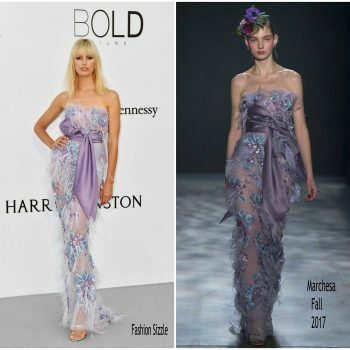 Karolina Kurkova was in attendance at the 2017 amfAR Gala Cannes, held on Thursday (May 25) during the Cannes Film Festival She wore a Marchesa Fall 2017 embroidered gown. 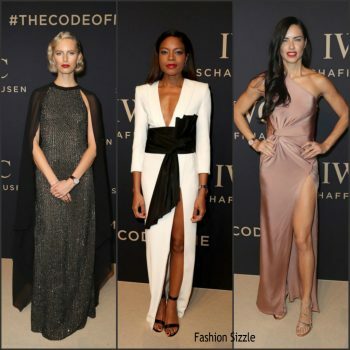 Karolina Kurkova wore a black stretch-tulle embroidered cape gown from the Resort 2017 Michael Kors Collection to the IWC Schaffhausen Gala on Tuesday, January 17, 2017, in Geneva, Switzerland. Karolina Kurkova attends the 70th Annual Tony Awards at The Beacon Theatre on June 12, 2016 in New York City.